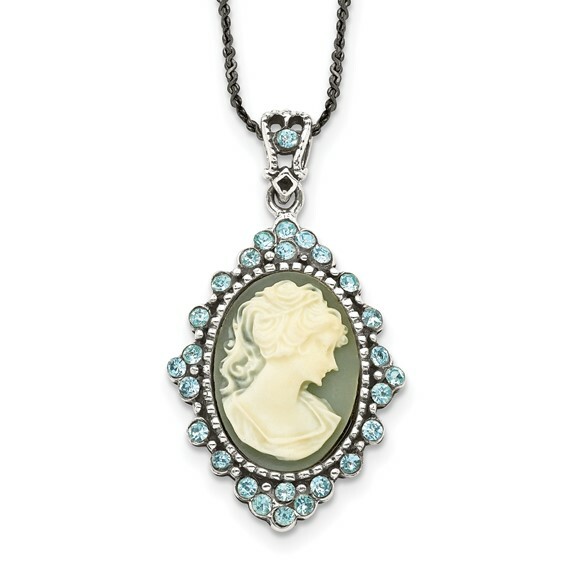 Sterling silver blue crystal cameo pendant. Free sterling silver 16in chain. Weight: 5.8 grams. Cameo measures 1in tall by 3/4in wide without bail. i have bought similar items that looked as nice but were less expensive.